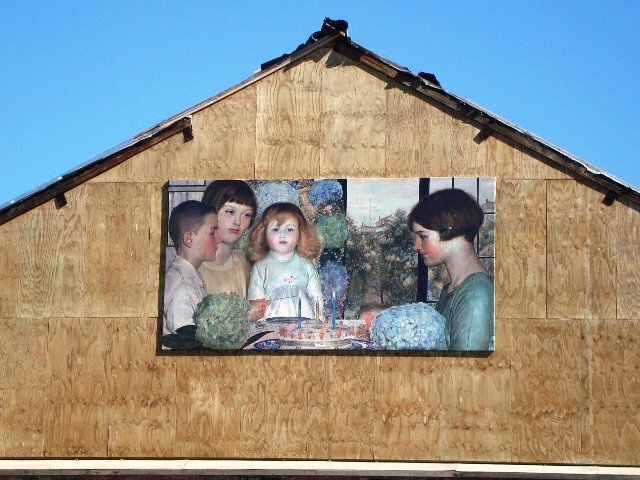 This painting is on a wall at the corner of Manchester and Herefords Streets. It shows a family birthday celebration, but I’ve no idea of the story behind it, or who the artist is. do you know? Maybe it’s part of the Art Gallery’s ‘Outer Spaces’ programme?